During the MIUI 2017 summer meeting in China, Xiaomi's Vice President, Hong Feng announced the MIUI 10. He said that the software is in the development and will be available for testing this summer. 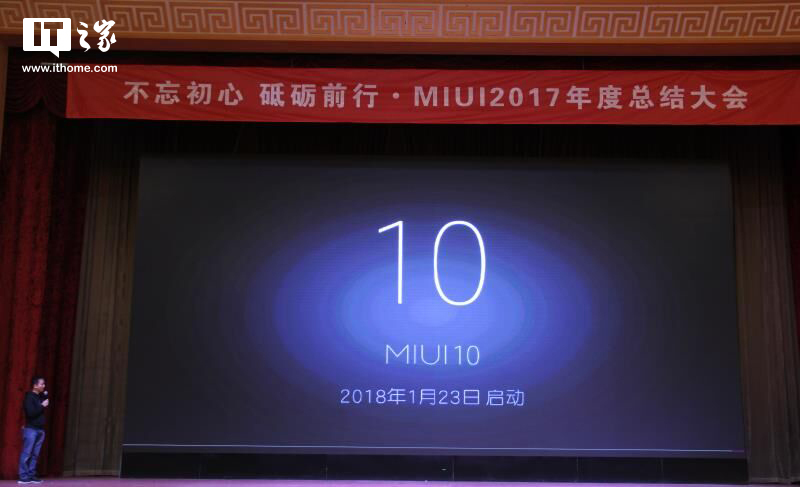 "Our MIUI team will mainly focus on the design and UI of the MIUI 10 - Hong Feng." MIUI 10 is expected to be based on Android 8.0 Oreo. Android 8.0 Oreo comes with numerous enhancements over Android Nougat, such as faster booting, new Settings and Quick-Settings UI, Picture in Picture (PIP), Adaptive icons, Autofill, Notification timeout, Xiaomi is also expected to add several new features to the latest software update. Xiaomi may also include face unlock and swipe gestures with the MIUI 10. Feng says that the OS will be available for most of the devices later this year. Stay tuned to our Facebook and Twitter page to get the first News. Xiaomi devices likely getting MIUI 10 based on Android 8.0 Oreo includes the Redmi 5 Plus, Redmi 5, Mi 6, Mi MIX 2, Mi MIX, Mi Note 3, Redmi Note 4/4X, Mi 6 Plus, Mi Max 2, Mi 5C, and Mi 5A.